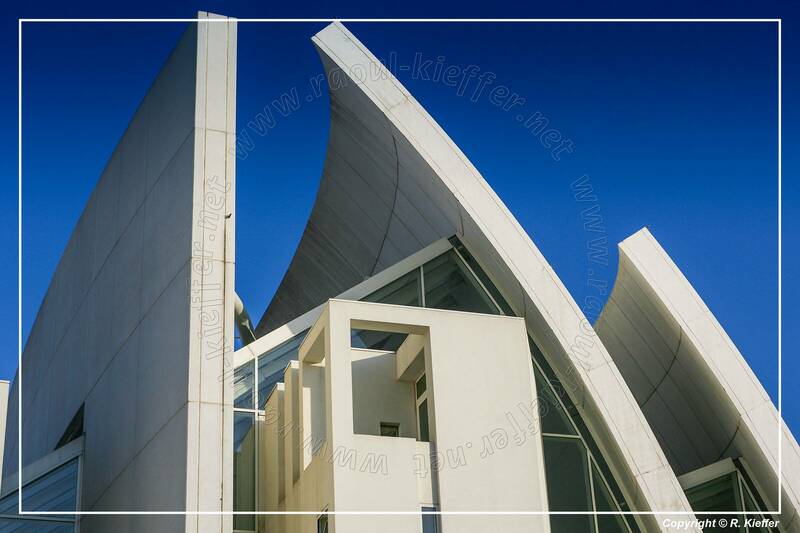 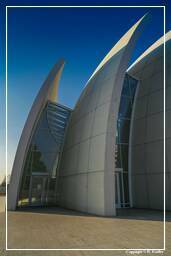 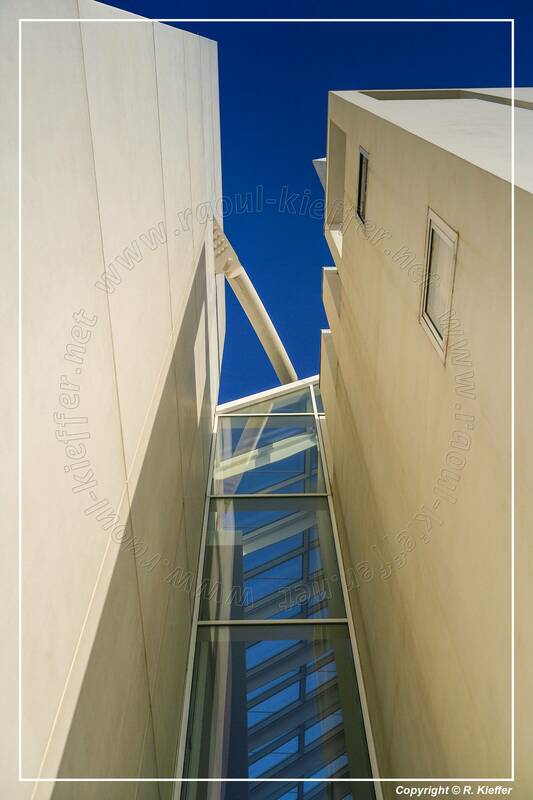 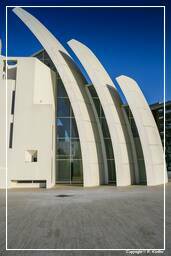 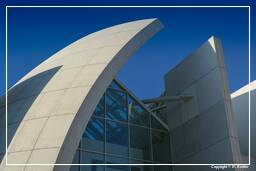 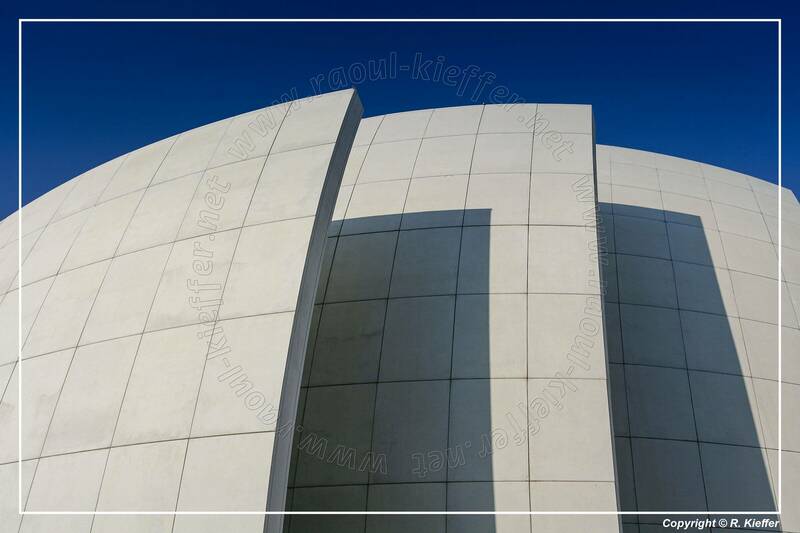 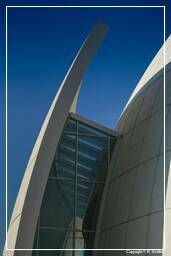 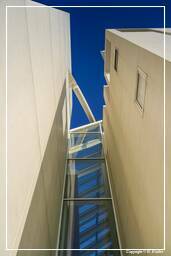 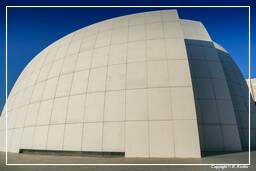 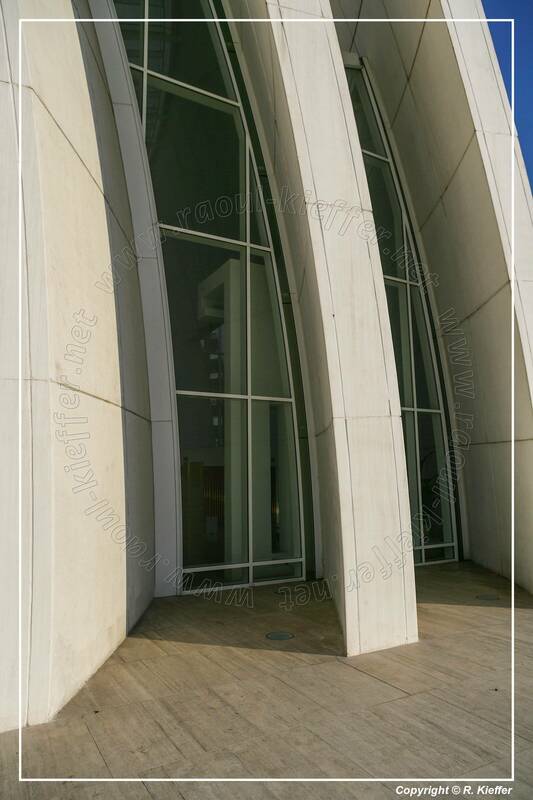 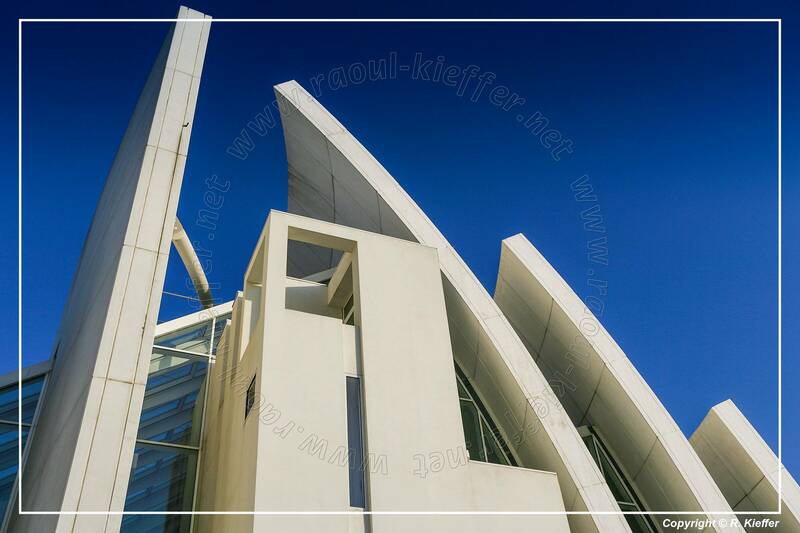 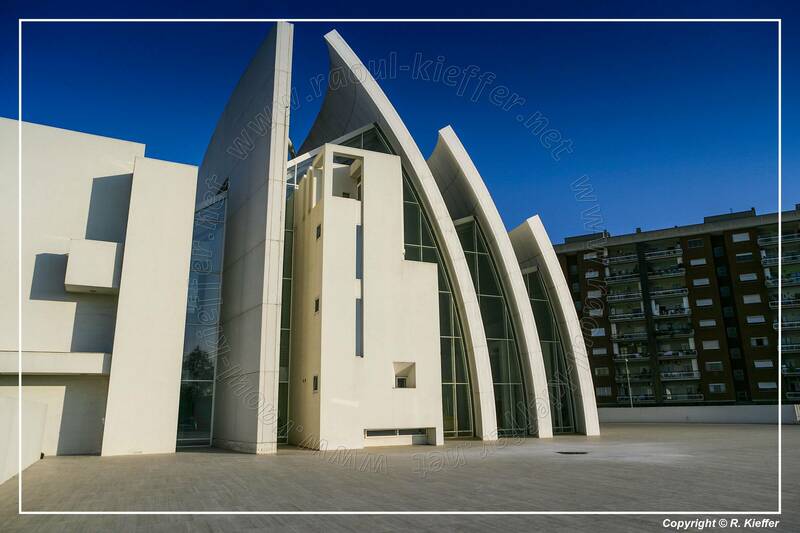 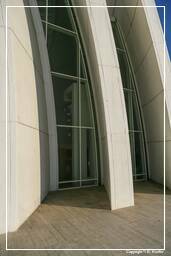 The church “Dives in Misericordia” is located in Tor Tre Teste in Rome, and was designed by Richard Meier, winner of the competition announced in the frame of the diocesan program “50 Churches for Rome 2000”. 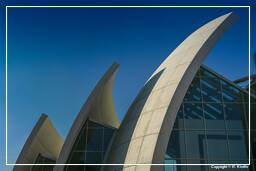 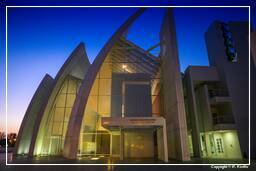 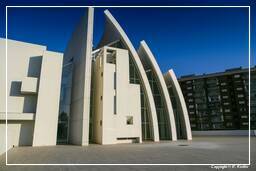 This architecture has the particular aim to recall the fundamental theme of the Jubilee of 2000, God’s forgiveness. 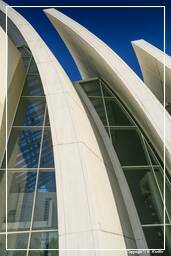 The building was actually completed in 2003. 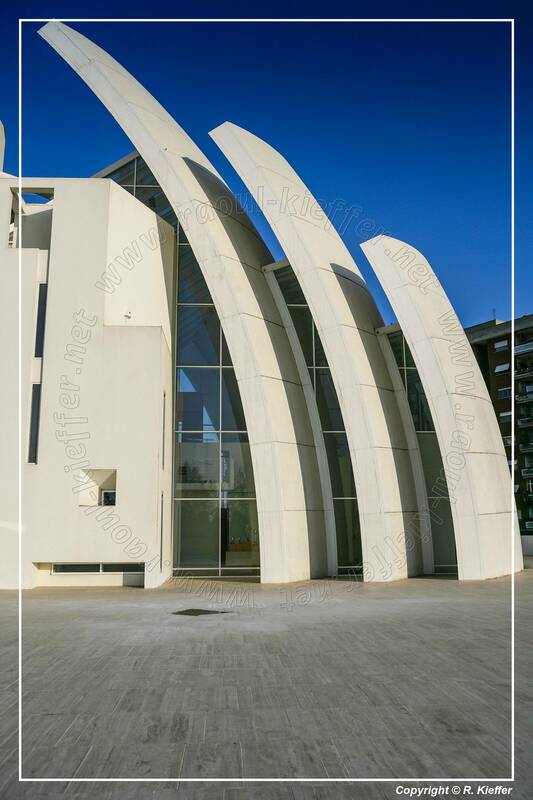 The white of the special polished concrete, the transparency of glass, stainless steel structures will address concepts of purity, dispossession from worldly cares, to the divine call, with no other ornamentation than that of the interior spaces of the play of light. 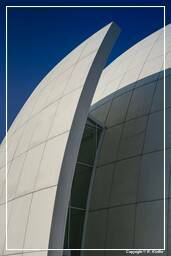 The unique shape designed by Meier, dominated by three portions of the increasing extension of spherical surfaces of radius identical, suggesting a symbolic reading in which they are three sails that seem inflated by the wind like a boat. This evokes the imagery of the early Christian community of believers or of the soul like a ship pointing toward the beacon of Christ, the ultimate goal of our earthly journey, is the historical significance of the pontificate of John Paul II, representing the Church ferries the faithful towards the third millennium.